After receiving his starter pokemon Aquamarino took his pokedex and started to walk out of the village to start his journey. As Aqua walked away from the village his path was then blocked by a dark cave which began to startle him until he thought of the different types of pokemon that would be inside of the cave. Aquamarino turned over to Dratini, "This is where our journey starts Dratini". While walking deeper into the cave Aquamarino decided to sit down and wait for a pokemon to appear. While sitting Aquamarino and Dratini were frightened by a strange sound. Aquamarino grabbed Dratini and started to run away. While running he crashed into a hard object that he thought was a pokemon. Aquamarino started taking slow steps back. Aquamarino looked at Dratini, "Guess we are going to fight buddy". When you stepped backwards you realized it was a pack of 3 Gravelers and behind them stood their boss, an Axew. The Gravelers all started throwing rocks at you causing you to cower back. Than the Axew jumped on top of the middle Graveler and shot Dratini with a powerful Dragon Rage attack dealing massive damage. Aquamarino starts to get worried about Dratini but he knew that he would have to eventually fight, "come on Dratini we have to win this". As Dratini started to get back up he knew that he would have to get rid of the Gravelers first. Aquamarino yelled, "Use thunder wave to stun the gravelers and attack the axew with extreme speed!". Two of the Graveler simply shrugged the attack off, but one of them did fall over from being stunned. However, as he was falling backwards he was able to throw a rock that directly hit Dratini. Then one Graveler shot out a Flamethrower to your surprise. While you were distracted, the other Graveler bulldozed over your Dratini. To your luck though, Axew used Dragon Rage again and it took out the bulldozing Graveler and not your Dratini. Axew simply jumped backwards on top of Graveler before Dratini could land it's Wrap attack. It than followed by using a Leer to lower Dratini's defense. After that, the Graveler used Rock Throw and Flamethrower to throw a flaming rock at Dratini, hitting it directly in the head causing massive damage to him. Now backed into a corner Axew knew it was all over, so it left, but the Graveler stayed to see Dratini and Aquamarino defeated. 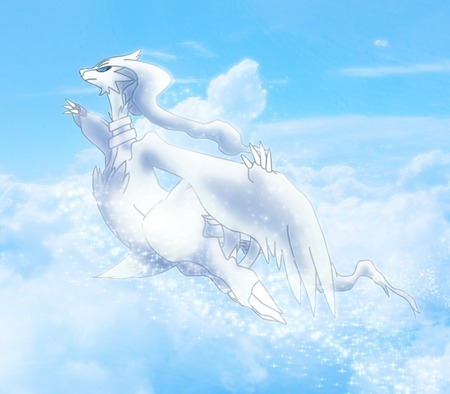 Aquamarino slowly looked at Dratini and smiled as he picked him up and ran to a pokemon center. The Graveler would not allow this until one of them was defeated. It rolled infront of Aquamarino and his Dratini demanding a battle. It down fired a Flamethrower into the air, making rocks fall to block the entrance to the cave. It than smiled knowing they would have to beat it to leave this cave alive. Aquamarino glared at the Graveler and turned to it while yelling, Dratini use your leer to lower down Gravelers defense while using wrap and try thunder wave one more time to paralyze him!. Aquamarino looked with a serious face while hoping that his attacks would work on the Graveler. Graveler's Defense was successfully lowered by the Leer. The Wrap was also able to deal slight damage, however Graveler broke out of it and was able to dodge the Thunder Wave. It than in rage shot a Flamethrower at the ceiling trying to make more boulders fall from the sky, but this backfired because they fell upon Graveler causing him to be knocked unconcious. This is Aquamarino's only chance now to escape or capture Graveler. Aquamarino grabbed his pokeball and looked at Dratini, "You did good Dratini...and we cant just have all dragon types sorry". Aquamarino threw the pokeball at graveler while waiting to see if he would catch it. Graveler was quickly sucked into the Pokeball. The ball moved slightly indicating no struggle was going on to escape the pokeball, and at the sound of the ding, Aquamarino knew Graveler had been captured.